Despite the best efforts of the shiftless Adam Schiff to keep the lid on the source of the dodgy Steele dossier, we know now that the Clinton presidential campaign paid for the Kremlin-aided smear job on Donald Trump before the election. Within 24 hours of her concession speech, [campaign chair John Podesta and manager Robby Mook] assembled her communications team at the Brooklyn headquarters to engineer the case that the election wasn’t entirely on the up-and-up. For a couple of hours, with Shake Shack containers littering the room, they went over the script they would pitch to the press and the public. Already, Russian hacking was the centerpiece of the argument. The plan was to push journalists to cover how “Russian hacking was the major unreported story of the campaign,” and it succeeded — as Paul Sperry put it in his excellent New York Post column on the subject — to a fare-thee-well. After the election, coverage of the fabricated scandal of Russian “collusion” was relentless and made a critical contribution to the congressional investigations that followed. When President Trump fired then FBI Director James Comey, Comey had an inspired idea. He would strategically leak memos of his conversations with President Trump to his friend Daniel Richman at Columbia Law School. Richman in turn was to read the memos to New York Times reporter Michael Schmidt. If all went according to plan, the resulting story was to lead to the appointment of Special Counsel to investigate all things Trump (video below). Comey is a sophisticated Washington operator who has moved for a long time in rarefied law enforcement circles. He knew roughly everyone in the small world from which the Special Counsel would be drawn. When Rod Rosenstein appointed Comey’s friend and “brother in arms” Robert Mueller as Special Counsel, Comey was home free to ascend Mount Olympus and pronounce his deep thoughts via Twitter. The choice we face is especially stark given that the case at hand potentially implicates other top aides to former President Barack Obama. Recall that Page and others linked to Trump were accused of having ties to Russia, then their names were leaked to the media in a bid to sway the election and then to topple the president. There may be other flimsy FISA applications covering other Trump associates we don’t yet know about. The House Intelligence Committee memo is pretty simple. It should not have been classified and thus far withheld from the public. In fact, far more information now needs to be released. Despite the outcry, as Chairman Devin Nunes clarified, the memo can easily be in the near future supported or refuted by adducing official documents. In other words, the memo makes a series of transparent statements and leaves it up to the criminal-justice system and the public to ascertain subsequent criminal liability. It is likely that the basic accuracy of the document will not be questioned, but rather opponents, some of them mentioned in the memo, will either ask why the resulting embarrassing information needed to be aired or insist that there are only minor possible crimes in the events it narrates, or both. Remember, officials from the FBI supposedly read the memo before its release to ensure that there were not factual errors or misrepresentations. In sum, on four occasions during and after the 2016 campaign, the FBI and DOJ approached a federal FISA court — established to allow monitoring of foreign nationals engaged in efforts to harm the U.S. or American citizens deliberately or inadvertently in their service — to surveil Carter Page, a sometime Trump adviser. These requests also mentioned George Papadopoulos, apparently as a preexisting target of an earlier investigation by FBI official Peter Strzok, but according to the memo mysteriously there was not adduced any direct connection between the two individuals’ activities. The basis of the requests was an anti-Trump dossier that the FBI and DOJ had purchased from a private concern. At the time of their various requests, FBI director James Comey and his deputy, Andrew McCabe, apparently knew that the document was the work of an opposition-research team, hired and paid, through a series of intermediaries, by the Clinton campaign. The same knowledge supposedly was known to DOJ officials Sally Yates, Dana Boente, and Rod Rosenstein, who variously joined the FISA requests. The FBI and DOJ requests to the court were also apparently bolstered by citing news accounts in the popular media about possible Russian collusion, which in circular fashion had been the result of efforts by the authors and purveyors of the dossier to leak its contents to the media. 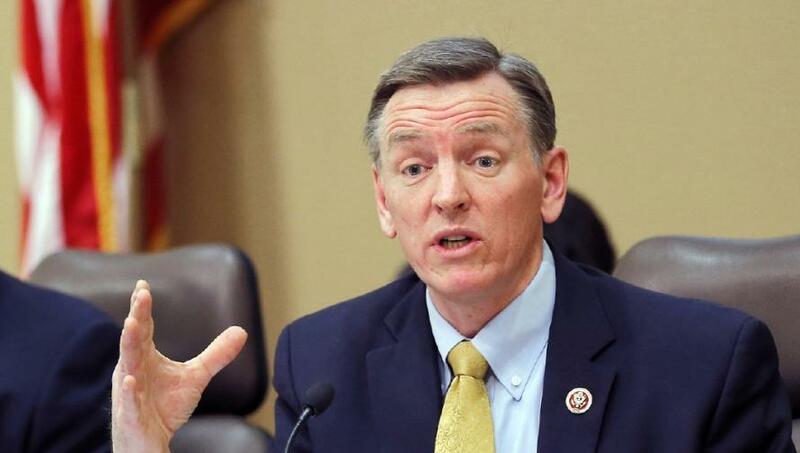 On various later occasions, high FBI officials purportedly admitted to the congressional inquirers both that the FISA requests would not have been made without use of the dossier, and yet its contents could not be verified or in fact were scarcely yet scrutinized. d) a DOJ official both met the author of the dossier and informed the FBI that he was a biased source — but either did not inform other DOJ and FBI officials that his own spouse was a collaborator who worked on the dossier, or such knowledge was known to DOJ and FBI officials but not passed on at some point to the FISA judge, apparently because the court might not have otherwise approved of the request or might have acted to revoke prior requests. What Is the Larger Context? What does it all mean — both the memo itself and subsidiary public revelations about the Strzok-Page texts, and the circumstances around the firing or reassignments of several DOJ and FBI top officials? I don’t think there is any more doubt that the candidacy of Donald Trump terrified top officials of the Obama DOJ and the FBI, James Comey especially. A few may have genuinely believed Trump was a beneficiary of Russian efforts at collusion; more likely, Comey, McCabe, and Strzok may have believed that such a charge was unlikely but still useful as a means to thwart the idea of a Trump presidency. Either way, the DOJ and the FBI deliberately distorted the nature of the FISA court process by either withholding information that they knew would likely negate their requests or misrepresenting the nature of the evidence they produced. It is also clear from the contacts between Mr. Simpson, Mr. Steele, and representatives of the DOJ and FBI, and the employment of Ms. Ohr on the dossier team, that there were conflicts of interest at best, and, at worst, collusion between Obama DOJ and FBI officials and the de facto contractors hired by the Clinton team to find ways of disseminating supposedly embarrassing information before the November 2016 election. The larger landscape around the memo’s revelations was not just that DOJ and FBI officials were disturbed by the Trump candidacy. They were also likely assuming that he would not be elected, and thus any questionable efforts to ensure that Trump was not elected might not be investigated in an incoming Clinton administration, but perhaps in some way even rewarded. So far, none of the congressional committees have released information about the actual scope and effects of these and possible other FISA court orders — and to what degree, if any, other American citizens were surveilled and whether such resulting surveillance was used by the Mueller investigation to indict individuals, or whether the names of U.S. citizens in such reports were illegally unmasked by Obama officials and then leaked to the media. We are told such information is coming. Would there ever have been a Mueller investigation without the DOJ and FBI efforts to persuade the FISA court? And who was the FISA judge or judges, and are we to believe that he or they could not have asked a simple question concerning the nature and origins of the dossier? Was he incompetent, biased, or representative of the dangerous tendency of judges to rubber-stamp such FISA requests? 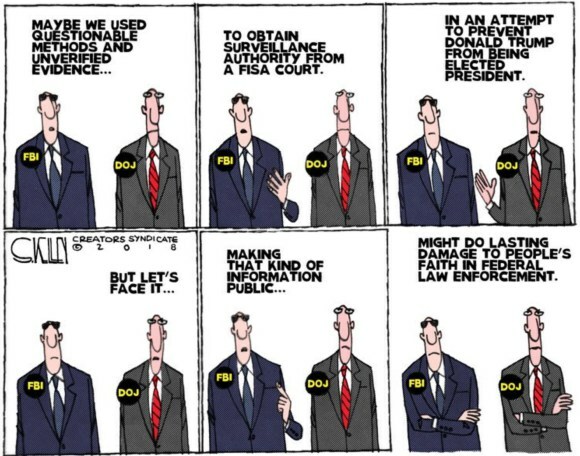 An incumbent administration can freely use the FBI and the DOJ to favor one side in a presidential election, by buying its opposition research against the other candidate, using its own prestige to authenticate such a third-party oppositional dossier, and then using it to obtain court-ordered wiretaps on American citizens employed by a candidate’s campaign — and do so by deliberately misleading the court about the origins and authors of the dossier that was used to obtain the warrants. Watergate was about largely failed presidential cover-up attempts to enlist the CIA and FBI to squash an investigation into a politicized burglary. Iran-Contra was supposedly about rogue administration officials trying to circumvent the law by providing arms to a foreign government to release hostages and thereby obtain cash to help perceived friendly foreign agents without knowledge of and in contravention of Congress. The current internal efforts in the middle of a campaign to weaponize the FBI and DOJ are something new. And it illustrates a larger effort of the prior administration to warp FBI investigations of Hillary Clinton’s unauthorized and illegal email server and other purported improper behavior, as well as efforts of Obama-administration officials to improperly request unmasking of improperly surveilled Americans for improperly political purposes. These efforts come on top of previous attempts to politicize the IRS in order to oppose perceived political opponents and to monitor journalists reporting stories deemed unfavorable to the administration. Finally, unlike past administration scandals, when the press posed as custodians of the public interest and demanded transparency from government agencies, this time around the media are arguing for secrecy and suppression of documents, and are unconcerned with likely violations of the civil liberties of American citizens by overzealous federal officials likely breaking the law. There is much worry that the memo’s release will hurt the FBI. But such concern is predicated on the definition of the FBI. If the agency is defined as its top echelon, then, yes, the FBI’s highest officials are discredited, the now-compulsive tweeter James Comey especially. But if the FBI is defined by thousands of rank-and-file professional agents, then the agency is not only not discredited, but empowered by a timely reminder that true patriots at the FBI never break federal law on the dubious rationale that their purportedly noble ends justify any means necessary to obtain them. No one forced FBI director James Comey to withhold critical information from a FISA judge in order to surveil American citizens, or to purchase an opposition-research dossier from a political campaign in the middle of an election cycle. Nor did anyone force Comey to leak confidential notes of a meeting with the president of the United States to the media in a deliberate effort to force appointment of a special counsel. Comey swore that he did not write his letter of legal exoneration until after interviewing Hillary Clinton; we now know that was likely also a false statement. Comey also changed the wording of his original draft to ensure Hillary Clinton’s immunity from possible criminal liability. No one forced the FBI’s top lawyer and recently reassigned general counsel, James Baker, to leak elements of the so-called Steele dossier to the media during the 2016 campaign. No one forced Peter Strzok and Lisa Page to conduct a romantic affair via FBI secure phones, a texting correspondence that revealed that they both were prejudicial to the object of their own then-current investigation, Donald Trump, or to meet with Andrew McCabe to commiserate about their mutual dislike of Donald Trump. Note that their departures from the Mueller collusion investigation were not immediately announced, but rather such news was released months later to suggest that the reassignments were neither connected nor out of the ordinary. No one forced a compromised Andrew McCabe to continue with the Hillary Clinton email investigation, despite the fact that his wife had recently received several hundred thousands of dollars in campaign contributions from a Clinton-affiliated political-action committee. No one forced him to concede that without the use of the dossier, FISA warrants would have been unlikely. Many of the those with possible criminal exposure have already either been fired (Comey, McCabe), reassigned (Page, Strzok, Ohr), or are considered sacrosanct (Obama, Loretta Lynch, etc.). Rod Rosenstein’s fate is, for now, largely a political matter, and only later a legal one. Still, a special counsel might indict a number of officials for deliberately misleading a federal judge, or violating statutes prohibiting the surveillance of American citizens, or lying while under oath, or he might retract indictments and confessions based on deliberate misrepresentations to a federal judge. A bipartisan 9/11–like commission could at least issue a report and recommendations to ensure that the DOJ and FBI never again intervene in a U.S. election. By all means, let us see the transcript of the McCabe interview, the Democratic minority memo, the actual FISA court requests, the complete text trove of Page and Strzok, the prior administration’s requests to unmask surveilled American citizens, Clinton-campaign communications about the procurement of the dossier, and the transcripts of those surveilled. We need to find out whether Russian collusion and interference into the 2016 election was far more devious and complex than believed and whether it involved seeding the research behind the Clinton campaign’s purchased oppositional dossier in order to undermine a U.S. election, leading to the greatest irony of all: a special counsel investigating what likely did not happen while ignoring what likely did — perhaps the greatest political scandal of the modern age. At this point, the only cure for the wound is far more light.